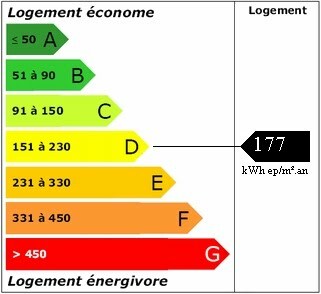 With effect from 1st January 2011, any advertising of a property for sale must specify the “DPE or Diagnostic de Performance Energetique” (energy efficiency) report. 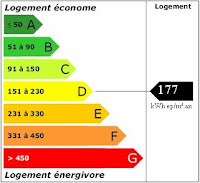 We are working with our vendors to arrange for these energy ratings to be displayed on our property details. Since November 2006 all new homes and buildings for sale have been required to undergo an energy performance evaluation (an energy performance diagnostic, or DPE), and receive an energy performance certificate. The certificate, rather like those applied to washing machines and fridges, indicates both the level of energy consumption and the greenhouse gas emission level, on a scale of A to G, with G being least efficient and the highest emissions. The full diagnostic report is accompanied with various recommendations for improving the building’s energy efficiency. 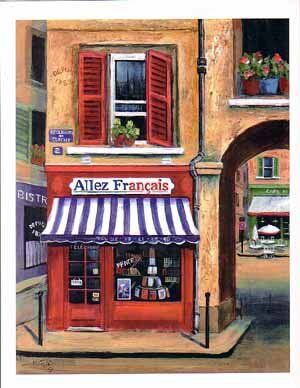 Once again France comes out top in the quality of life index. According to http://www.uswitch.com/ France enjoys the earliest retirement age (joint with Poland), spends the most on healthcare (11% of GDP) and has the longest life expectancy in Europe. Its workers also benefit from 36 days holiday a year, compared with just 28 in the UK, and it comes only behind Spain and Italy for hours of sunshine. The UK came 9th out of the 10 European countries in the Index, thanks to high living costs, below average government spending on health and education, short holidays and late retirement. The Index shows that people in France enjoy the highest quality of life, closely followed by Spain. People in the UK pay the highest prices for food and diesel, yet the government spends below the European average (as a percentage of GDP) on health and education. We also work longer hours, retire later, receive less annual leave than most of our European counterparts and get less sunshine along the way - not to mention the fact that we can expect to die two years younger than our French counterparts. Currently Capital Gains in relation to immovable property (except the main residence) are taxed in France at a rate of 16% plus 12.1% social charges. These rates apply after deduction of the 10% allowances for each year of ownership after the first five years. After 15 years, the gain is free of tax and social charges. An amendment was adopted by the National Assembly during the course of their examination of the 2011 Finance Bill. If amendment is agreed by the Senate, it will increase the tax payable on capital gains concerning immovable property. The measure voted on the 21st October proposes an increase in the rate of tax from 16% to 19%. Social charges on property gains will increase from 12.1% to 12.3%. Whilst the tax will still be calculated after the 10% deductions for length of ownership, the social charges will be calculated on the total gain before taking account of such allowances. Therefore, where a property is sold after 15 years of ownership, the individual will not have any tax to pay, but they will still pay social charges of 12.3% on the full gain. The gain is taken into account when looking at taxable income for the purposes of the Bouclier Fiscal, but the amount taken into account will be the full gain before any allowances (previously it was just the taxable gain after allowances). If these measures are adopted by the Senate, they will affect individuals who sell their property after 1st January 2011. 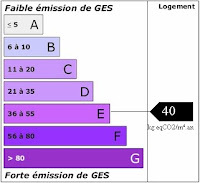 Therefore, if a sale is on the cards, the Acte Authentique should be signed before 31st December 2010 in order to benefit from the current rates. 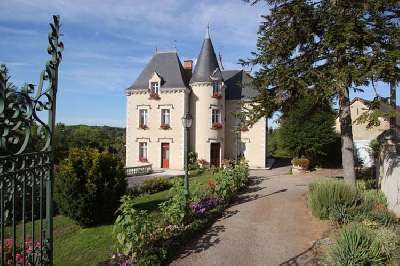 This beautiful and homely chateau, built at the end of the 19th century, is in a private position overlooking a valley with far reaching views. The entrance is through the round tower where you find yourself in an original panelled hall (32m²) with stone floor and original staircase. The salon/dining room (60m²) was two rooms but has been opened into one large space with marble tiled floor, 5 windows giving spectacular views on three sides, a large stone fireplace provides a central focal point and the walls have been fabric covered. The breakfast kitchen (18m²) is fully fitted with oak units in a traditional style, plenty of room for a large table. The office (26m²) is panelled in wood with complimenting fireplace and lovely views over the valley. Family bathroom (11.5m²) has double vanity sinks bath and bidet. Separate wc. Door down to the sous-sol area. On the first floor are 4 double bedrooms, all with lovely views, the floors are all original wood parquet in great condition. The master bedroom (27m²) has an en-suite shower room, bedroom 2 (27m²) has a dressing room in the tower, bedroom 3 (27m²) and bedroom 4 (12.5m²). Family bathroom (12.5m²) has 2 vanity sinks, bath and wc. Separate wc. On the second floor are 3 large bedrooms, tower room and 2 attic rooms for possible conversion. The basement or sous-sol can be accessed form the house and the garden. It contains various useful rooms, all with high ceilings, laundry, boiler room and cellars for wine storage. There is also another large vaulted cellar (380m²) which is under the terrace and garden. Outside are the dependences and garages (totalling 220m²) in superb order.The gardens have a superb balustraded terrace overlooking the valley.